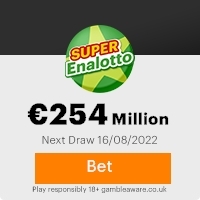 Your name attached to ticket number 214-1781-501 with serial number 7216-05 drew the lucky numbers of (21â28-36-39-42-45 ) which consequently won the lottery in the 3rd category. You have therefore been approved for a lump sum pay out of 385,000 â (THREE HUNDRED AND EIGHTY FIVE THOUSAND EUROS ONLY) in cash credited to file with REF. NO. X/76841284672/6. This is from a total cash prize of 13,770050.00 â (THIRTEEN MILLION SEVEN HUNDRED AND SEVENTY THOUSAND, AND FIFTY EUROS) Shared among the seventeen international winners in there respective categories. CONGRATULATIONS!!! Your fund is now deposited with a security company and insured in your name. For security purpose due to mix up of some names and numbers, we ask that you keep this notification from public notice until your claim has been processed youâre your money remitted to your account as this is part of our security protocol to avoid double claiming or unwarranted taking advantage of this program by participants. All participants were selected through a computer ballot system drawn from 25,000 names from, Asia, Australia, New Zealand, Europe, America and North America as part of our International promotions program which we conduct once every year. We hope you participate in our next yearly promotion program. To begin your prize claim, please contact your agent, MARTIN LOPEZ, The Foreign operations manager of FERRAX SEGUROS S.A. On Tel: 011 34 6-54-844-322 and Fax 011 34 654-446-225 for processing and remittance of your winning prize money to a destination of your choice. Remember, all prize money must be claimed not later than, 13th OF JULY. 2007. After this date all funds will be returned to the MINISTERIO DE ECONOMIA Y HACIENDA as unclaimed. And also be informed that 10% of your Lottery Winning belongs to FERRAX SEGUROS S.A.. Because they are your claims agent. This 10% will be remitted after you have received your winnings because the money is insured in your name. NOTE: In order to avoid unnecessary delays and complications, please remember to quote your reference and batch numbers in every correspondence with us or your agent. Furthermore, should there be any change of your address, if any please do inform your claims agent as soon as possible. 011 34 654-446-225, Of FARRAX SEGUROS S.A. Congratulations again from all our members and staffs âuromillones lotterÃa international. Previous: AWARD NOTIFICATIONFresh ScamsNext: AWARD DEPT. This Email with the Subject "AWARD FINAL NOTIFICATION" was received in one of Scamdex's honeypot email accounts on Tue, 19 Jun 2007 06:21:25 -0700 and has been classified as a Generic Scam Email. The sender shows as "euros_millones@terra.es" <euros_millones@terra.es>, although that address was probably spoofed. We recommend that you do not attempt to contact any persons or organizations referenced in this email, as you may expose yourself to scammers and, at the very least, you will be added to their email address lists for spam purposes.